Remove the rear wheelhouse panel liner. Refer to Rear Wheelhouse Liner Replacement. Remove the fuel tank filler door. 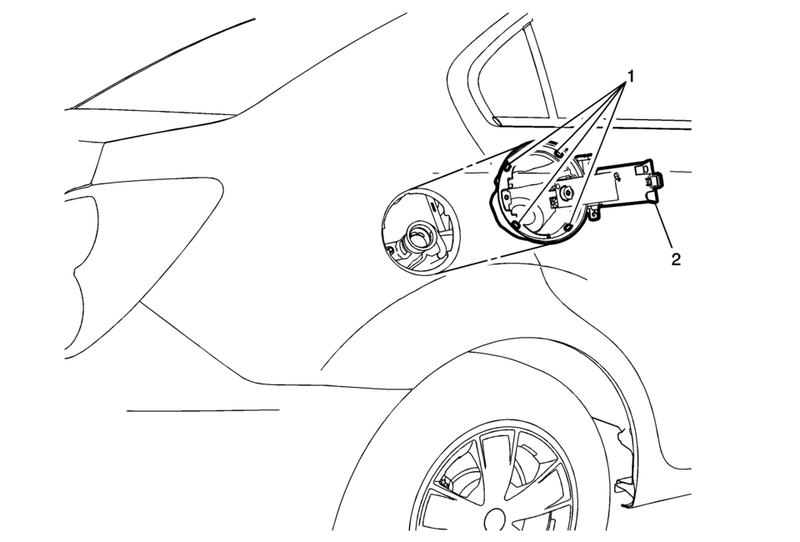 Refer to Fuel Tank Filler Door Replacement. Release the 4 filler door latch housing retainers on the back of the housing. Press the fuel tank filler housing outward from the fuel filler pipe and the quarter panel.